View More In Moss Control. Wet & Forget's spray & leave formula works with the wind and rain to gently clean outdoor surfaces over time. There's no scrubbing, rinsing or power washing. Simply mix 5 parts water to 1 part Wet & Forget in a pump-up garden sprayer and apply to virtually any outdoor surface and you're done! 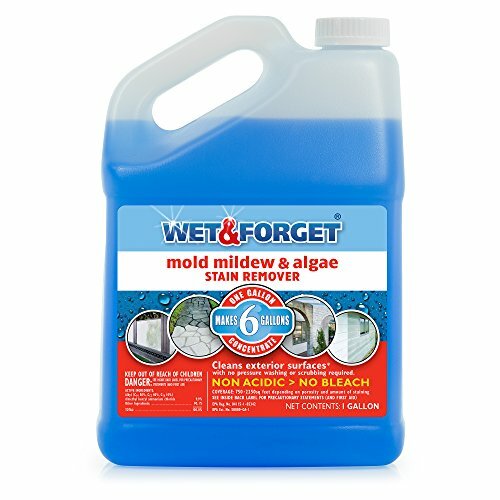 Wet & Forget's gentle, bleach-free formula goes to work with Mother Nature to clean the surface for you. If you have any questions about this product by WET & FORGET, contact us by completing and submitting the form below. If you are looking for a specif part number, please include it with your message.